7.9" x 9.6" stitched on 14 count. 6.2" x 7.4" stitched on 18 count. 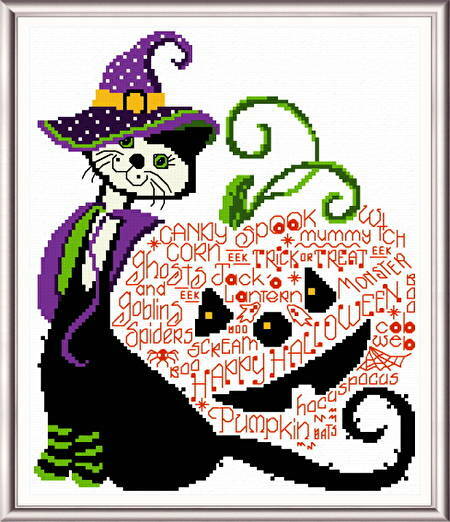 Halloween Kit Kat cross stitch pattern... Greet your friends with this spooky haunted house.